All of THAT’s adventures will include transportation, at least one good looking guide, water, and snacks. Groups have a minimum of 2 to 3 people depending on activity for given rates. Please consider your idea of high adventure and your current fitness level when looking to adventure with us. We will cater activities to best suit the groups overall fitness level. If you feel a group setting may hinder your adventure or vise versa please look strongly at our Private guide option where we work one on one with you to best suite your needs. We are willing to put together any adventure you can conceive. Combing any of our offerings to make a multiple sport full day or a multi-day adventure is a good start. 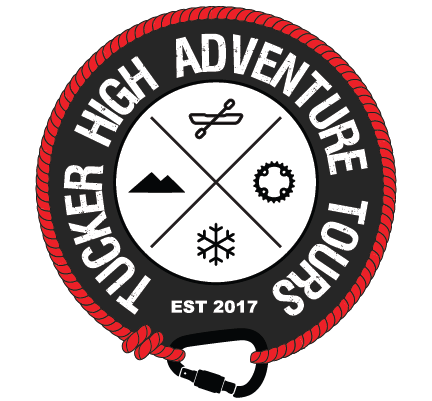 We have experience in ski and snowboard instruction, back country skiing, repelling, canyoneering, backpacking, bike packing, motor sports, water sports, white water rafting, and many other outdoor adventures. Prices for custom adventures vary according to the adventure. Below you will find a few offerings to get you started. Half Day Starting at $79/person A 2.5 hour climbing session geared to learning and improving, includes equipment. Full Day Starting at $129/person A 5 hour climbing excursion geared to improving and exploring multiple climbs. Lunch and equipment is included. Private * Starting at $149 Most effective way to learn and improve your climbing. Highest customization option to set you up for success. Equipment is included. Half day Starting at $49/person Half day hikes are geared toward shorter explorations in the Tushar & Mineral mountains. Typically the hikes range from 3-5 miles in light to moderate conditions. Full Day Starting at $79/person Full day hikes are generally further, 5 -10 miles and more strenuous hikes getting deeper into the mountains for more seclusion and views few others see. Private* Starting at $79 Customized hike geared toward the clients desires. Get the most out of your day seeing more and learning more. Full day hikes will also include a trail lunch. Half Day Starting at $49/person Half day MTB rides are geared toward shorter explorations in the Tushar & Mineral mountains. Typically the ride range from 3-5 miles in light to moderate conditions. Shuttle service is included for one way trails. Full Day Starting at $79/person Full day MTB rides are generally further, 5 -15 miles and more strenuous rides getting deeper into the mountains for more seclusion and views few others see. Private* Starting at $79 Customized rides geared towards the clients desires. Get the most out of your day seeing more and learning more. $69/person Half day adventure will include hiking and learning about safe terrain for uphill travel. Learning current snow and avalanche conditions. Then skiing your fresh runs through untouched snow. $149/person Full day excursion gears to all the same learning as a half day but more skiing I mean really its all about more skiing right. Half Day Starting at $59/person Half day hikes in the snow are geared toward shorter explorations in the Tushar mountains. Typically the hikes range from 3-5 miles in light to moderate conditions. Full Day Starting at $89/person Full day hikes are generally further, 5 -10 miles and more strenuous hikes getting deeper into the mountains for more seclusion and views few others see.